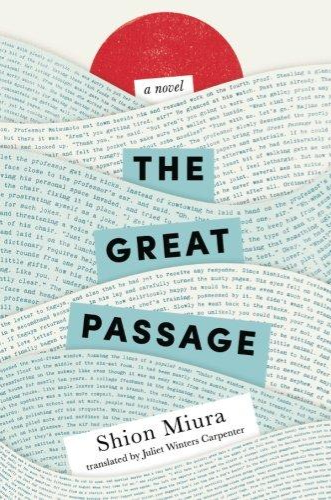 I picked up Shion Miura's The Great Passage without knowing what I was in for. This is because I am largely unfamiliar with Japanese culture and almost entirely ignorant of Japanese literature. I was simply struck by the concept behind Ms. Miura's novel because it centers on the art of making a dictionary and I thoroughly enjoyed the non-fictional account of the creation of the Oxford English Dictionary (The Professor and the Madman by Simon Winchester). 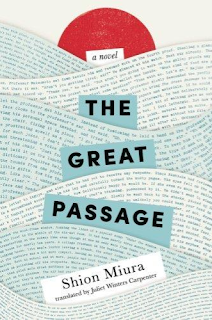 In particular, Ms. Miura's work focuses on the people involved in the creation of a new Japanese dictionary entitled The Great Passage (hence the novel's title). While poetic in its own right, it is an allusion to one of the first modern dictionaries of Japanese, Sea of Words, which was created in the late nineteenth century. On top of being both allusion and homage, it plays to one of the primary themes of the novel, which is that language, as well as knowledge, is necessarily tethered to the past, but also has the capacity to evolve. Furthermore, the two titles represent variant emphases—one a focus on the sea itself (which is a metaphor for knowledge), one a focus on the act of traveling upon that sea (which is a metaphor for experience). The novel's more philosophical moments allow for ruminations on the former, while the story arc is propelled by the latter. Though Majime is new to the idea of creating a dictionary, he learns he has a knack for it, and quickly becomes the editor. As such, Majime is tasked with exploring the vastness of language, and attempting to make sense of it. 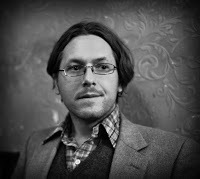 He is joined by several other characters, who serve to give the novel some greater emotional depth, but he remains aloof and lost in his desire to provide the public with a modern dictionary of some 250,000 words, as well a snapshot of what those words mean at the time of the dictionary's publication. Majime's exploration into the sea of words runs parallel to the journey of his wife, Kaguya, who is a chef. With both food and words, context makes the meaning more complex. A single word may have one meaning, but, when paired with another, its meaning can change. Similarly, a particular food item can have one flavor when on its own, but take on a new dimension when used as an ingredient in a more elaborate dish. The same can even be said of individuals who have their own ambitions and projects, but come together in a relationship. They retain their individuality, but also become part of a separate and unique composite. While the translation by Juliet Winters Carpenter certainly succeeds in conveying this message, I couldn't help but feel that the original prose written by Ms. Miura probably contained a myriad of passages that further illustrated this point either by the use of homonyms, metaphors, or turns of phrase that simply can't be translated without making the novel clunky or filled with footnotes. Ms. Carpenter's decision to opt for clarity and precision over documenting every piece of wordplay or symbolic imagery was wise, as the opposite would have bogged down the novel. While this was a bit of an obstacle for me, I still found the novel rewarding. Even if I was unable to fully appreciate some of the passages in the novel that focused on etymology, the book is fruitful because it inspires readers to contemplate words and how those words are used. And yet there is a larger philosophical tension in the pages of the novel. Ms. Miura expresses uncertainty about how exact a dictionary can ever truly be with regards to meaning. While she writes, for example, that “Gathering a huge number of words together with as much accuracy as possible was like finding a mirror without distortion,” and that some degree of accuracy is possible in lexicography, she also acknowledges the limitations of language in defining some words and concepts. “Dictionaries often do define a word by putting it in opposition to another one and saying, 'Not this',” one character, Kishibe remarks, seemingly in an allusion to Derrida's theory of différance (or, perhaps more archaically, Maimonides' theory on the negative attributes of God). In other words, sometimes a word can only be defined as what it is not, which seems to draw out the contours of a definition, but does nothing to tell one about the contents found within the shape. Perhaps, we're left to think, one comes to understand the full meaning of a word by experience, and that the task of acquiring knowledge and learning the meaning of words is not a quixotic task, but rather a necessary and Sisyphean one. And this is perhaps the most lasting impression one comes away with after reading the novel. Whereas many people view the allegory of Sisyphus to be depressing, Ms. Mauri depicts it as joyous, provided one can love the rock to which they are attached. This would seem to be the case for anyone who has sought to master a discipline. If one is truly passionate about something and dedicates their life to it, then their time is wasted, even if, to someone who lacks that passion, it seems foolish. Approaching total mastery of the skill—be it cooking, lexicography, writing, or playing an instrument—is the point. That total mastery is impossible; is irrelevant.